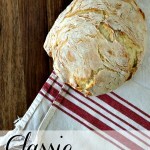 Caprese garlic bread - A Life From Scratch. What’s better than homemade garlic bread? Homemade caprese garlic bread, of course. The perfect way to use up those summer tomatoes that are starting to be every where you turn. And how pretty to use different colored heirloom ones, can’t wait. The perfect summer dinner is this. Fire up the grill for some good chicken or sausages. Crack open a ciabatta loaf. Spread on a mixture of butter, parmesan, and spices. 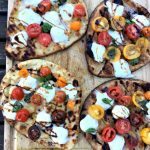 Top with mozzarella and fresh tomatoes and oh my goodness what more could you need in life? Oh that’s right a balsamic glaze and freshly ribboned basil drizzled on top. Now your life is complete. Slice open your bread and set on a foil lined baking sheet. Mix together butter through the salt & pepper. Spread evenly on the bread. Top with sliced mozzarella and sliced tomatoes. Bake for 15 minutes or so. Near the end you can switch on your broiler if you want the top a bit more browned. 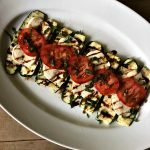 Remove from oven, drizzle with balsamic glaze and basil. Enjoy! 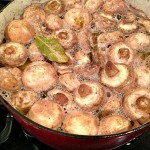 I notice that you use a balsamic glaze a lot…do you use a ready made one…or make your own. How do you make it, if you do? Thx!! This looks interesting. 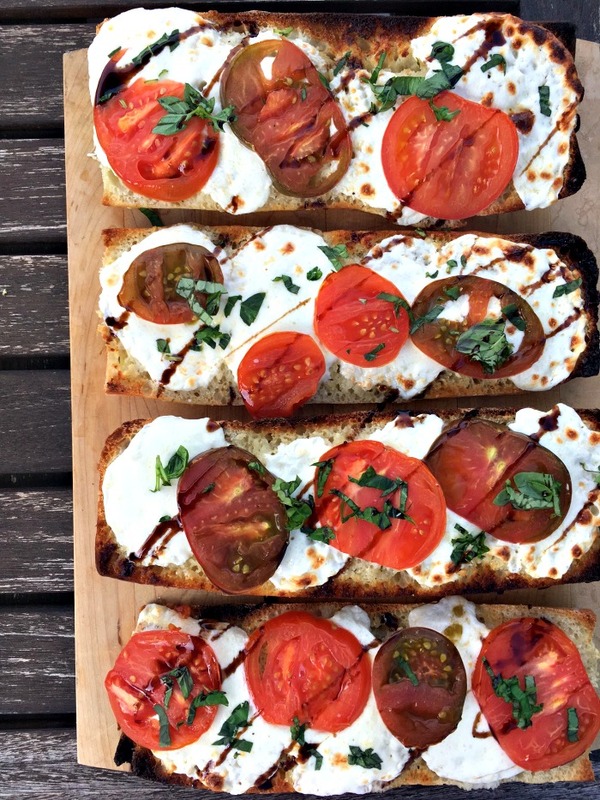 I haven’t tried a caprese garlic bread yet but these extra tomatoes make it a must-try. Not to mention it is easy and simple. Thank you for sharing this! I am excited.